gobnobble -- the comic work of David Allan Duncan: Page 22. 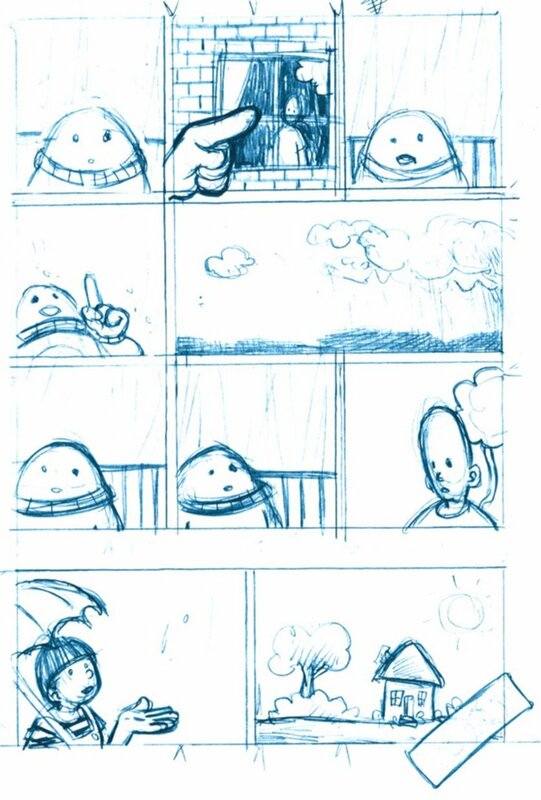 Here's the last penciled page. I've still got to letter and ink them all... That'll take a little while now that I've started teaching again. I know I didn't get as much done during my break as I had hoped, but I think I did pretty good. My goal is to be able to put out 4 books a year. I'm also not as fond of my indoor scenes... I gotta work that out... Suggestions? I miss having someone to really bounce ideas off of. It's easier to draw when I'm around other people who are also drawing... I see a great deal of really nice work here, but I see it when it's done, never while they're really doing it. Plus, I can't draw as school, I've got to teach and do stupid paperwork crap.